The New Mexico ATODA Prevention Workforce Training System provides ATODA (alcohol, tobacco and other drug abuse) prevention training opportunities for organizations funded by New Mexico Office of Substance Abuse Prevention (OSAP), as well as for prevention professionals and advocates interested in furthering their professional knowledge of evidence-based substance abuse prevention, regardless of their funding stream. 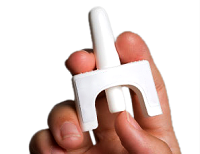 A training for friends, family members and caregivers in how to use naloxone (Narcan) to reverse an opioid overdose. Available online all the time, a growing resource of OSAP Capacity-Building Trainings designed to provide guidance and skill development related to your OSAP program requirements. Quarterly Training Calendar: See a list of current trainings. Click below for contact information for Technical Support, Assistance with Registration, Logistics, or other information about the training system. If you need to cancel a registration, and find out how to receive a refund and/or avoid late cancellation fees, click to read the full policy. The three most recent winners of the $50 Gift Cards are Lori Vigil, Theresa Kappel and Judith Lovato! When you complete the quarterly follow-up evaluation, you can enter a drawing to win one of three $50 gift cards given each quarter. Thank you for taking the time to complete the follow-up evaluations. Subscribe to our mailing list to find out when new trainings are added.